Using Pyramid Press, helps ensure a good night’s sleep! Our hotelier client in Nottingham had this fantastic idea of providing their clients with ‘sleep spray’. Rather than just place the bottle on the bedside table, our client wanted a simple devise that holds the spray. 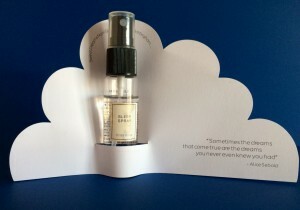 They decided on a cloud concept, knowing that clouds are associated with a good night’s sleep. Having a rough outline of their design, Pyramid provide a few alternative mock ups of concepts for the Sleep Spray, from simple place mats, to complex flip boxes, to integrated backboards. The final design (as shown below) ticked all the boxes, minimalist, stylish, cost effective and matched the ambience of their hotel. The final specification included 140 gsm FSC® uncoated stock, printed with a tint of black, die cut with a slit to house the Sleep Spray. The finishing touch included adding a vertical slit at the both ends of the horizontal slit to prevent any tearing when the bottle was placed in it. If you have a product that requires some paper engineering, concept building or some expert advice on print production, please feel free to get in touch. The Challenges have been coming think and fast for Jas. Over the last four months, Jas has completed 5 more runs, adding another 51.2 miles to his total. Event 5 was the Lincoln 10k (6 miles), this was his second time he running this course. The first time was April 2013, achieving 52 mins 11 secs. This year he got a PB of 44 mins, 48 secs. He came in 435th, out of 5000 runners, and 58th in the over 40’s category. 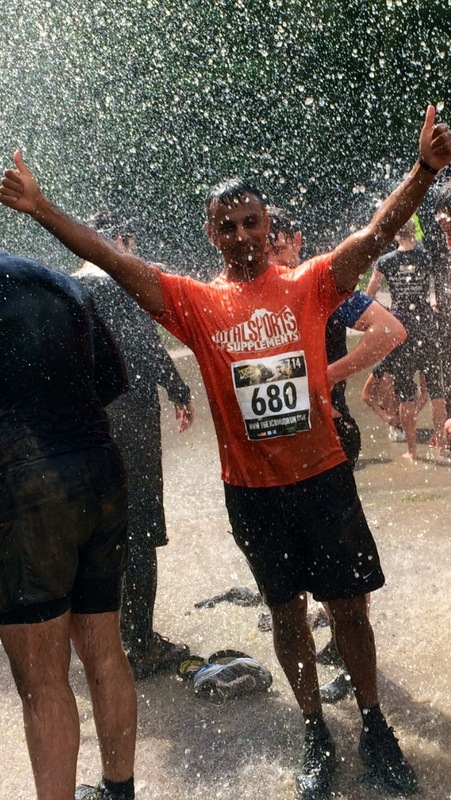 Event 6 was the Dirty Weekend, Rat Race at Burghley House. This is World’s Largest Obstacle Course, stretching over 20 miles, incorporating 200 obstacles. This was a real test for his fitness. With loads of help from Christopher Bradford (pictured with him) they managed to complete the course in a respectable 6 hr 08 mins. They think they could have shed about an hour off their time, if it was not for the queues at the obstacles. They have already entered next year’s race, aiming to complete this 4 hours! 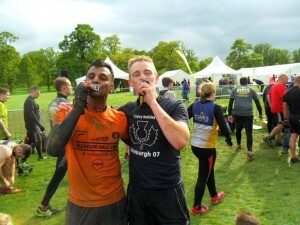 Jas & Chris at the finishing line at The Rat Race. 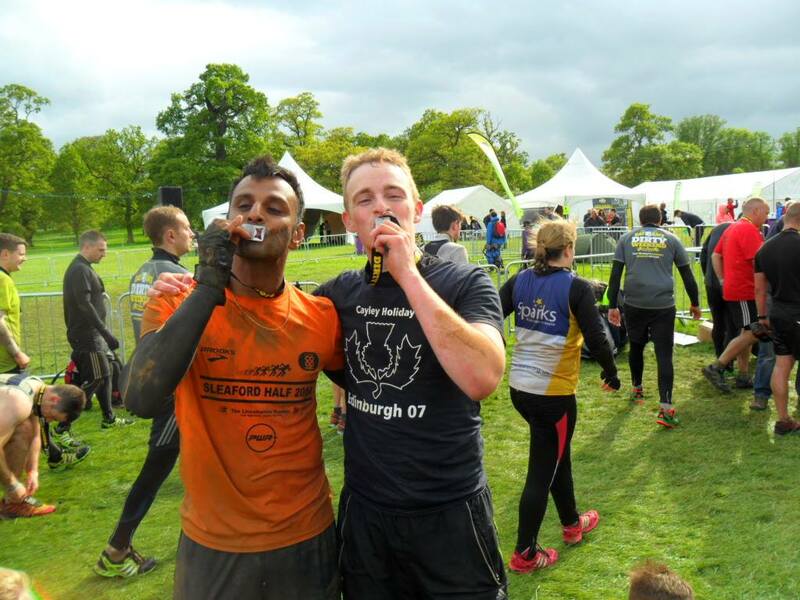 Event 7 was 7 mile mudrun, Total Warrior in Leeds. 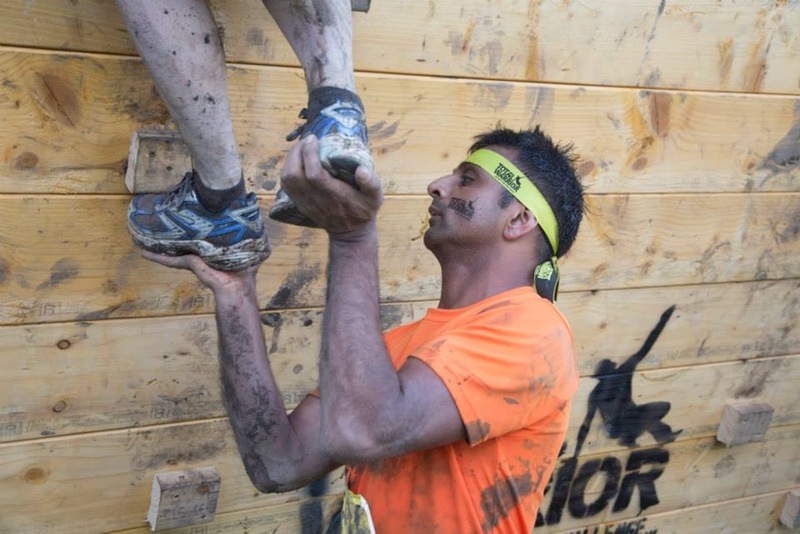 This was a little tame compared to The Rat Race, but had two insane obstacles, ‘The Sheep Dip’ and ‘Electric Shock Therapy. The Sheep Dip, involved been fully submerged in a skip full of ice cold water, and Electric Shock Therapy involved running through live wires, each time sending a electric shock through you, as you touched them. Here is Jas helping Kate over the Berlin Wall. Total Warrior, helping Kate over the Berlin Wall. Event 8 was a Trail Half Marathon through Clumber Park. This was his first Trail Run, and he was not sure what to expect. The night before, it rained heavily, and Jas was a little cautious, not wanting to slip and injure himself. He was a little disappointed with his time of 2hr, and 8 secs! Here he is looking shattered after his run. Event 9, was the JCB Mudrun, having ran this in 2012, he was excited to return to the place that started his love for Mudruns. The 5 mile course was just a mud bath, and he loved it! 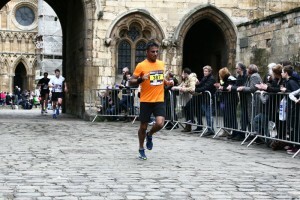 He completed the course in 55 mins, 12 secs, and came in 64th out of 2,700 runners. 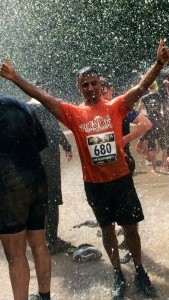 Here he is enjoying a cold shower at the finish line. To date, Jas has run 85.4 miles and rose just over £ 700. 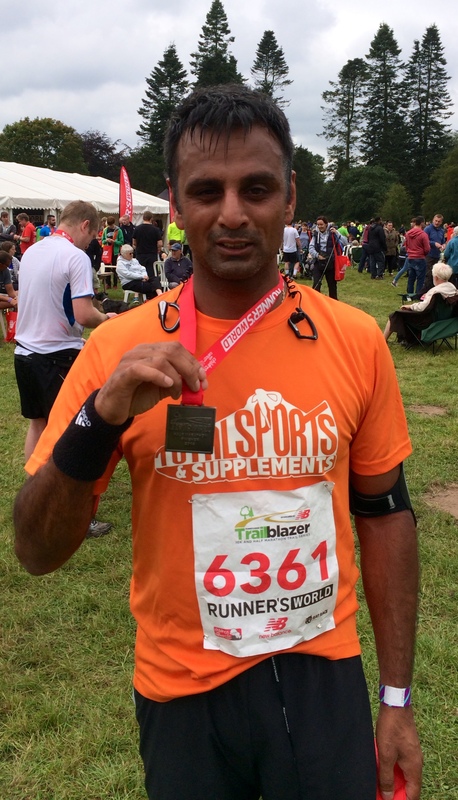 If you would like to sponsor Jas on his quest to run 150 miles, within 15 Events, through 2014, please use the link below for his donation page. He is aiming to raise £1500 for The Nomad Trust.